Available in all sizes, colours, models, etc. On theory, flat pack furniture pieces should also be easy to assemble even for people who have no experience with carpentry or do not own a toolbox. Well, as we all know that is hardly ever the case. At least, you can always call in a vetted handyman in Hackney Marshes E9 or anywhere in London for that matter. But if you want to save some money and handle this matter alone, you will need to stick to a good assembling strategy. Do not try to assemble a nightstand on your kitchen table. Take the assembly process as a serious matter and prepare your workspace appropriately. Put on some comfortable clothes and make some room. Keep pets and kids out of your way so that you can do your work at peace. It is advisable to assemble the furniture in the room you are planning to use it, especially if you are dealing with a big and bulky piece. Time to open and unwrap your new purchase. Lay out all the parts, nuts and bolts in front of you and take a good look at them. Doing that will help you stay organised and focused. 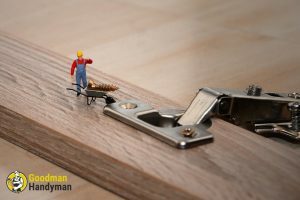 This is a no-brainer and yet so many of us who are a bit too confident in their handyman skills prefer to rely only on their intuition and logic to put a piece of flat pack furniture together. But, if you think about it, even Lego sets come with a long list of instructions. No matter how handy, creative and smart you are, there is a reason why these products come with a manual. Trust us, you will save yourself a great deal of time and nerves if you follow this tip. If you are wondering what type of tools you will need to assemble your new shoe cabinet, you have failed to follow the previous piece of advice from our guide. Now, take a step back and actually READ the instruction. There you will find a detailed list of all the tools which you will need to put your cabinet together. Unless you are a professional carpenter or an engineer, do not be too hard on yourself if the assembling process is taking you an eternity to deal with. No one said that it will be easy or fast. So, keep calm and do not feel like you need to race against time. You are carefully following the manual and you are taking all the time in the world but that thing still won’t come together? Do not try to blame your misfortune on poorly-written instructions and do not even think about taking a shortcut such as using glue instead of the provided fasteners and fixings because you will risk damaging the furniture piece beyond repair. If you have followed this guide to the last letter but you still can’t seem to get things right, wave the white flag and rely on trusted furniture assembly services in London. Not all flat pack furniture pieces are user-friendly and easy to put together. That is why it is good if you opt for a Plan B whenever you reach a dead-end.